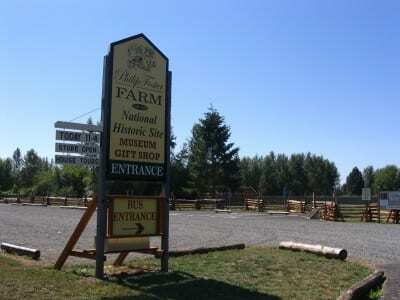 The Philip Foster Farm closes down for the winter, but we’re still busy! Keep reading for updates on building projects, archives, and school activities. Lucy House – Lucy Foster Burnett’s great-grandson, Tom, continues to renovate her house, recently moved across the street to join our historic site. So many discoveries are being made! Where were the chimneys? What was the wallpaper? What color was the paint? As the house is taken back to its original form, we are finding lots of “easter eggs” hidden in its walls and closets. The house will be re-sided and shored up for visitors, to support authentic living history in this restored 1860 home. Archives and Collections – Staff and volunteers are sorting, cataloging, and storing artifacts and documents. One day we hope to have a searchable collection online, so anyone researching Oregon Trail emigrants can find the traces they left behind, and come visit us to follow in their footsteps. Trails Across Time – Students come down occasionally to work at the Farm, but will spend most of the winter in their Eagle Creek classroom. This year 1 middle and high school scholars are studying the Civil War, Current Events, and Oregon History. Contact teacher Elaine Butler at [email protected] if you’d wish to join them in some Oregon History field trips. Help Wanted – We are in need of a janitorial service that can work seasonally and accommodate our strange hours in 2017. If interested, please contact [email protected] with your resume and references. Saturday, October 15th, we will be closing early, so as not to endanger guests, staff, or volunteers. Whether you are cozying up to a toasty fire or helping a neighbor, this day will be historic enough without us! Please do come visit when the storm is over. In general, if the Estacada School District is closed or delayed, we will close the Farm for safety reasons. If ESD or your school district is closed for weather, we will reschedule or refund your tour. Check school closures here. Weekend events will be closed if weather conditions make driving hazardous in our region. Such closures will be posted here. We have heard many tales of ancestors trapped in the mountains, rescued by Philip Foster from inclement weather, hunger, and poor planning. In honor of those brave pioneers, we recommend reading a good book by candlelight, or writing in your journal for posterity. Always on the last Saturday of September, our annual Cider Squeeze is loads of fun for the whole family. Bring your own apples, or squeeze ours for the freshest cider anywhere! The event begins at 10:00 a.m. and wraps up at 4:00. To reduce waiting times for everyone, we limit squeezing to 2 gallons per family on Saturday, but invite you to come back on Sunday for our bulk squeeze. It was no joke when our Trails Across Time Living History Immersion Program teacher Elaine Butler traveled to Salem on April 1st. 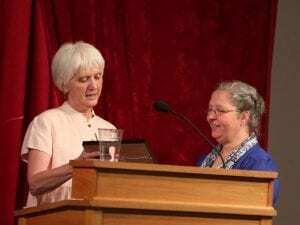 The occasion was the Willamette Heritage Center’s annual Heritage Awards Banquet. The Education award had four deserving nominees, but the Philip Foster Farm’s “schoolmarm” was its winner. The award recognizes programs, projects and other endeavors that have provided high quality history-focused educational opportunities to area residents for any age group or a wide range of age groups. Other nominees were Tammy Wild of the Keizer Heritage Center, Phyllis Quanbeck of the Children’s Educational Theatre, and the Yamhill County Historical Society & Museum. The award was presented by WHC’s education coordinator, Kathleen Schulte. Although it is unusual for a winner to be located so far away from Salem, Trails Across Time (TAT) attracts students from the Salem area, who consider the trip worthwhile for the unique program offered. Trails Across Time middle and high school students work together each year in an accredited school program that gives them both academic skills and real-world experience in public speaking, customer service, and non-profit management. The program is a collaborative venture between the Philip Foster Farm and Summit Learning Charter, which provides online and in-person classes for K-12 students in Oregon. Enrollment for the 2016-17 school year will open in May, and is limited. JZH is moving the Lucy House this summer! 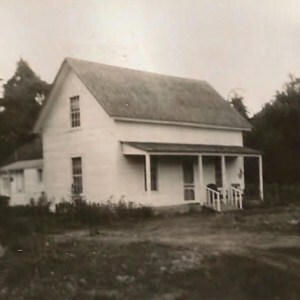 Philip’s daughter Lucy and her husband, Josiah Burnett, built their home in Eagle Creek in 1860. After 156 years, it will finally be accessible to the public. Learn More. Wanna help? Email [email protected]. Closed, But Not Standing Still! 1) New Programming Director Jennifer Goldman is on board, and working to connect the Farm with county, state, and local resources and organizations. 2) Plans are progressing for the move of the Lucy House across Highway 211 in 2016, to join other original buildings on the Philip Foster Farm. 3) Trails Across Time students will teach square-dancing classes at Summit Learning Charter on Thursday, November 12th, and at Winterhaven Charter School in Portland on November 19th, along with some Oregon Trail history. 4) Interested in historic saw mills? 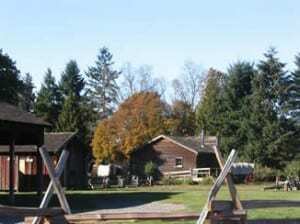 One of Estacada’s private mills will be moving to the Farm soon. Contact the Farm at [email protected] if you’d like to help us bring this piece of lumber history to life. Our annual meeting will be held July 13th, 2015, at the Estacada Public Library. Arrive early to view our exhibit in the library, including photos and artifacts of Estacada’s founding families. Meeting begins at 7:00 in the Flora Room. We’ll be sharing exciting news about changes in our facilities, and looking for your feedback. For the 2015 year, members of the Jacknife-Zion-Horseheaven Historical Society receive free admission and/or store discounts at the following historic sites in Clackamas County: End of the Oregon Trail Interpretive Center, Museum of the Oregon Territory, Mount Hood Museum, Barclay House Gift Shop (at the McLoughlin House in Oregon City), and the Holmes House (aka Rose Farm). Simply show your JZH membership card to receive your benefits at each site. These organizations have generously offered to extend their member benefits to our members, and we appreciate their collaboration! Welcome back, 4th graders! 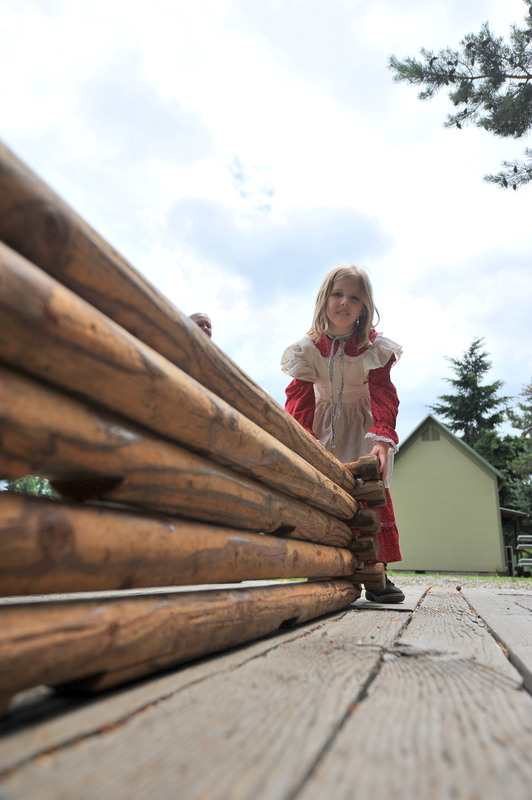 We’re looking forward to a full spring of Pioneer Life field trips. If you haven’t booked yours yet, there are still a few openings in the calendar. Take a look and make your reservation today.